As a long-term beer enthusiast of many years standing, you’re surely a regular ordering at bottled beer from our online store. 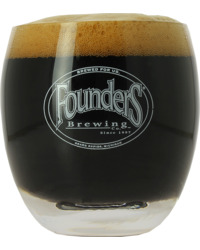 Often, these beers are presented in their own dedicated beer glass proudly bearing the name of the brewery. Did you know you can order branded beer glasses emblazoned with the names of your favourite brewers? Saveur Bière and HOPT offer branded beer glasses to make your beer tating the best experience it can be! Just like our huge range of bottled beers, we’ve got glassware from a large number of breweries. 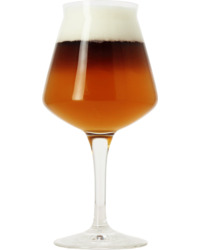 Browse our website or use our search to find the perfect beerglass for your favourite brew. 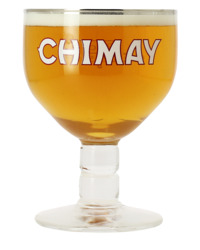 Among the branded stemware and straight glasses are Brasserie Huyghe – the brewery behind the world-famous Delirium Tremens, Abbaye de Chimay, Leffe, BrewDog, Hoegaarden, Leffe and many more. Saveur Bière and HOPT make it easy to order branded beer glasses with total confidence! We use specially designed packaging that has proven its effectiveness both for our extensive range of glasses for beer, and for the many bottles delivered each day across Europe in France, Belgium, Netherlands, Sweden, Italy and Spain. 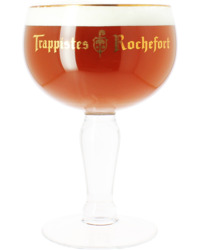 In addition to the name of the brewery, you can search for beer glasses by country e.g. breweries in France, Germany, Canada or England. 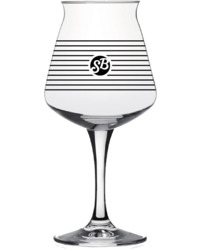 Another search option available is the shape of the beer glass: chalice, balloon, flute, straight, pint or mug. 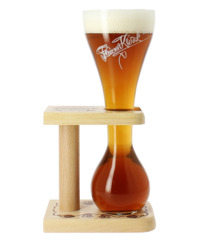 With a giant format beer glass, you can pour a bottle of more than one litre into a single glass. As with all our bottled beers, each beer glass features information on the size, the brewery, the style and a photo. If you’re still not sure, then contact our customer services by phone or send us an email and our team of dedicated craft beer enthusiasts can answer your question quickly and with a minimum of fuss.